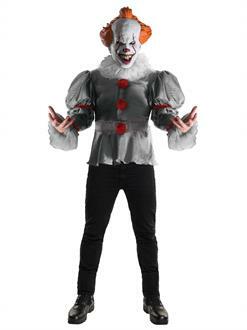 This Men’s Deluxe IT Costume will scare the witts out of everyone who wears it. Pennywise will be the talk of the town now that the new remake is making its way to the box office. Halloween is all about freaking everyone out. So, get ready for the scariest night your friends will have in their lives. This shirt and mask will be in everyone’s nightmares.